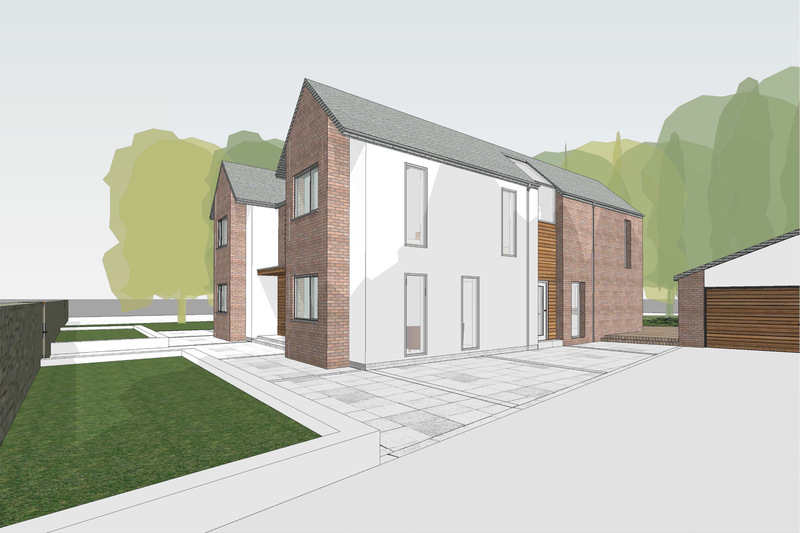 The site for this bespoke new build family home is located within the Green Belt in the suburbs of Bolton. 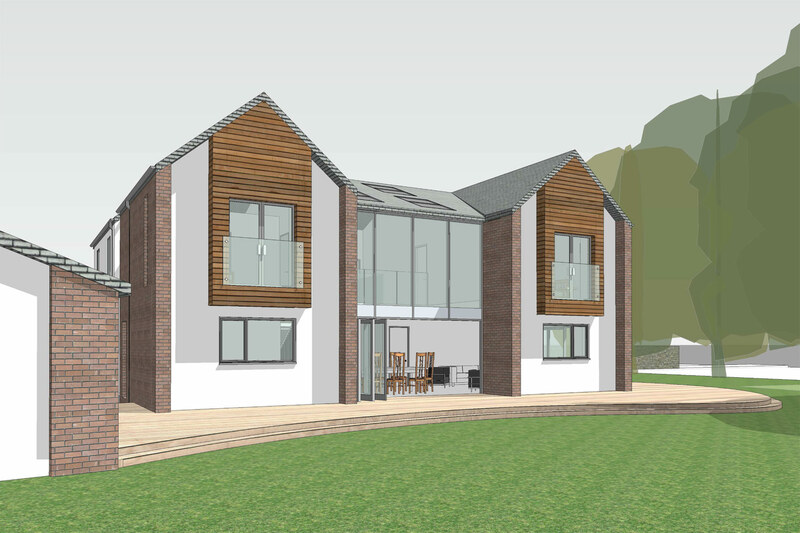 Artform Architects were approached to develop a design and submit a planning application for a private client who had purchased the site with a view to re-development. 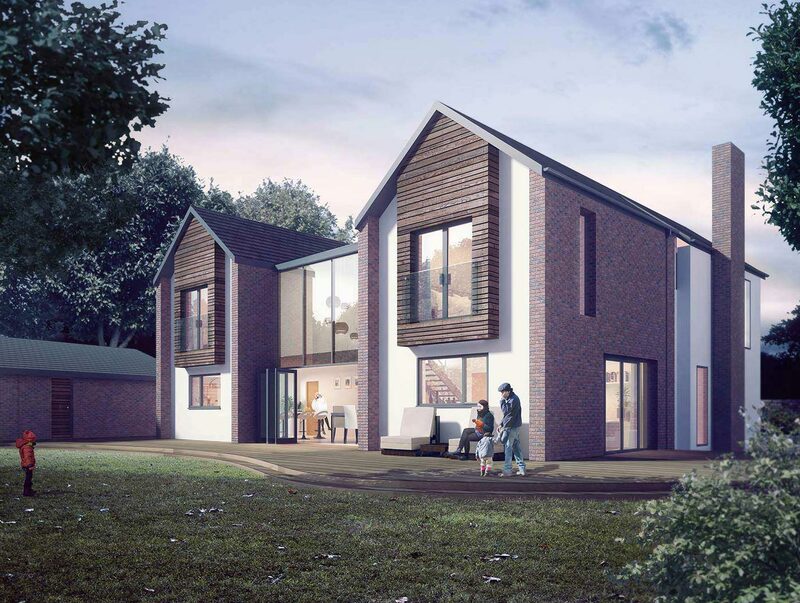 The brief was to create a contemporary new home which responded positively to the suburban context as well as to the highly landscaped surroundings. 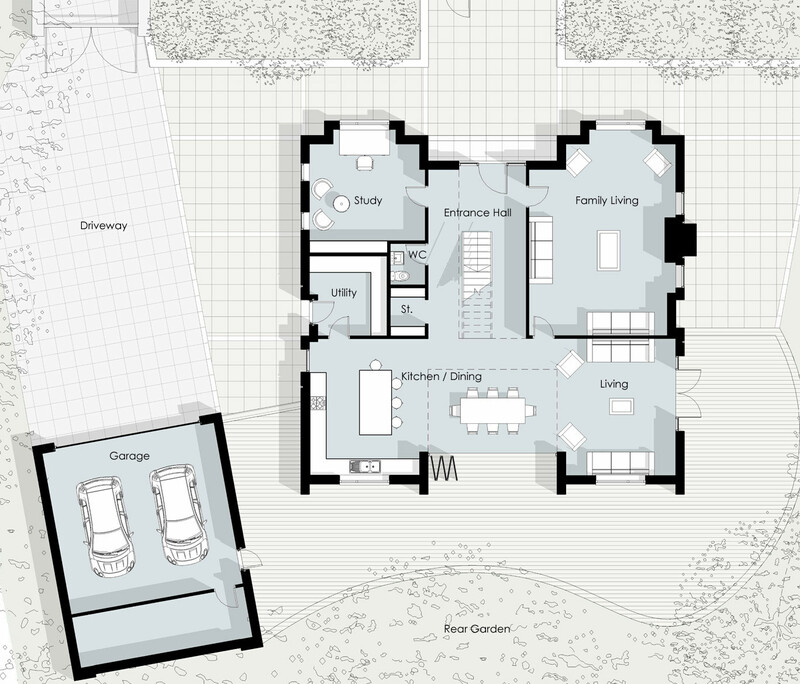 The designs were developed around both the needs of the client as well as the nature of the site and it’s contraints. 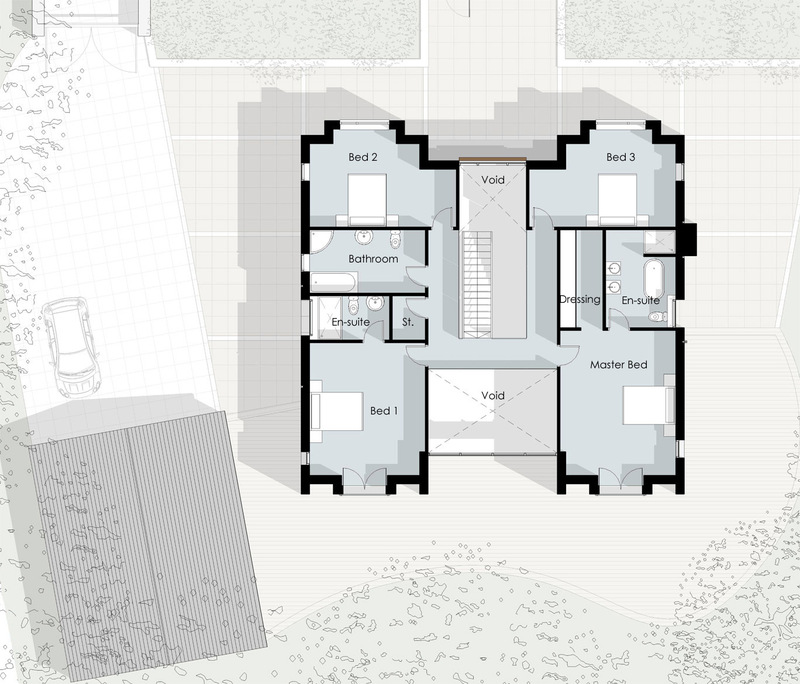 Accomodation is arranged over two storeys either side of a double height atrium space, with a focal open-plan kitchen diner at the rear which opens out to the expansive garden beyond.